Sometimes what you need is a bit of silly, lighthearted romantic fluff at the end of a long day. Luckily I had just that waiting in my mailbox when I got home from work, in the form of a Netflix envelope containing 1938’s The Cowboy and the Lady. It’s not the greatest movie of all time, but it’s amusing and cute. I smiled a lot while watching it. Merle Oberon is Mary, the dutiful daughter of a wealthy judge who is making a play for a presidential nomination. She’s his hostess at political affairs and never gets to have any fun. 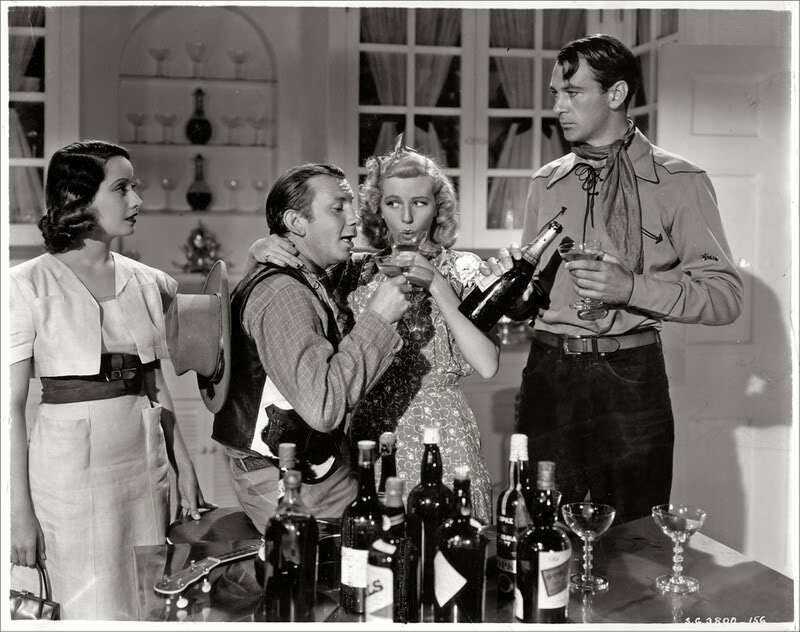 The one time she tries to have a good time, going dancing at a nightclub with her uncle (the wonderful Harry Davenport), the club is raided for illegal gambling. Before her name can get in the papers and disgrace the judge, Mary is shipped off alone to the family mansion in West Palm Beach. There she talks her two maids into taking her along on their blind dates with a couple of cowboys from a rodeo that’s in town, and setting her up with a cowboy of her own. Her date is none other than a handsome, long-legged fellow named Stretch Willoughby. (I think he must’ve been related to Long John Willoughby, because they look an awful lot alike. Heh.) Since he’s played by Gary Cooper, Stretch is of course taciturn, shy, honest, kindhearted, and a believer in good old-fashioned values. Mary, who has been coached on how to catch a man by her maids, uses one of their techniques, the sob story, to capture Stretch’s affections. She spins a yarn about her difficult life as a rich lady’s maid, working to support her alcoholic father and four little sisters. Stretch is touched and begins to fall in love. He soon proposes and before long a shocked but smitten Mary accepts. Unfortunately her sweet, naive new husband has no idea who she really is or what her life is really like. How can she tell him now? After all, he respects “work horses,” having no use for silly “show horses” whose only purpose in life is to look pretty. The rest of the story unfolds predictably, with misunderstandings, dashed hopes, revived hopes and a happy ending. Like I said, it’s just fluff, but there are lots of funny and romantic moments that make it worth watching. 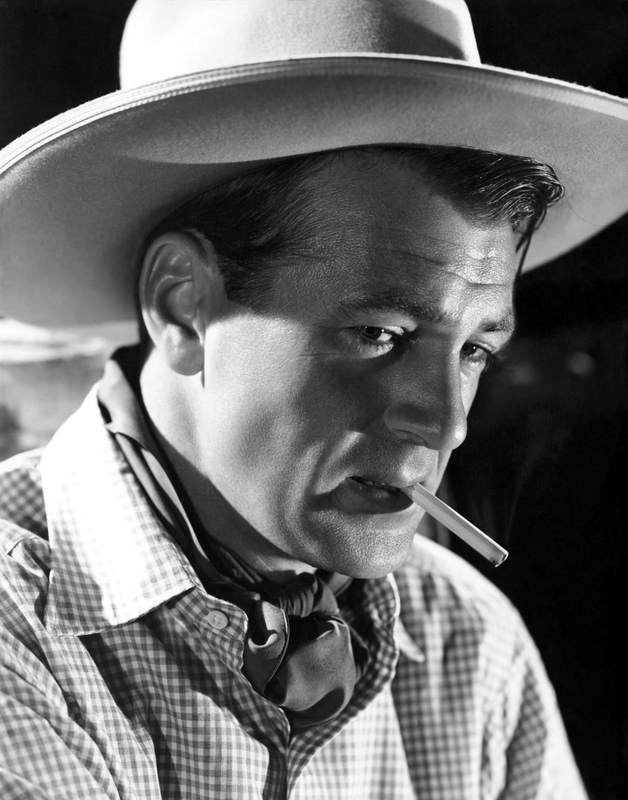 Gary Cooper is especially charming as the boyish, simple cowboy whose downhome virtues and innate goodness contrast with the snobbish politicians and city slickers in Mary and her father’s circle. 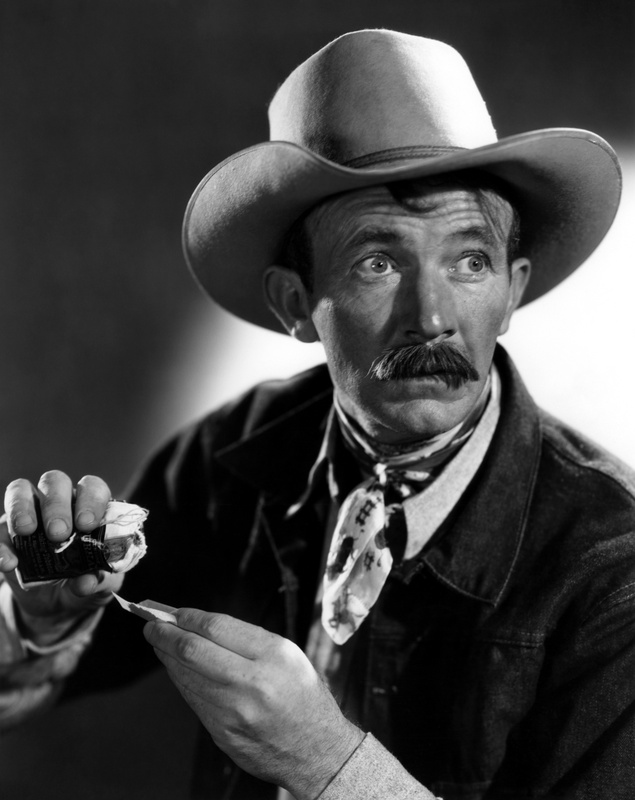 In addition to Harry Davenport as Mary’s kind, fun-loving uncle, the supporting cast also includes Walter Brennan as one of Stretch’s goofy sidekicks at the rodeo. The character actors in old movies are some of the best things about watching them. The ’30s and ’40s seemed to be an especially fabulous time for all the actors whose names you might not know, but whose faces are familiar and always welcome. I was very amused by Cooper’s costumes in this movie. He’s so cute in his old-fashioned cowboy shirts, jeans with cuffs rolled up about 6 inches, neckerchiefs and huge white hat. The clothes look like the kind of thing little boys dress up in for Halloween. This definitely isn’t a movie that’s going to make it onto any list of great old masterpieces, but it’s a fun way to spend an hour and a half. 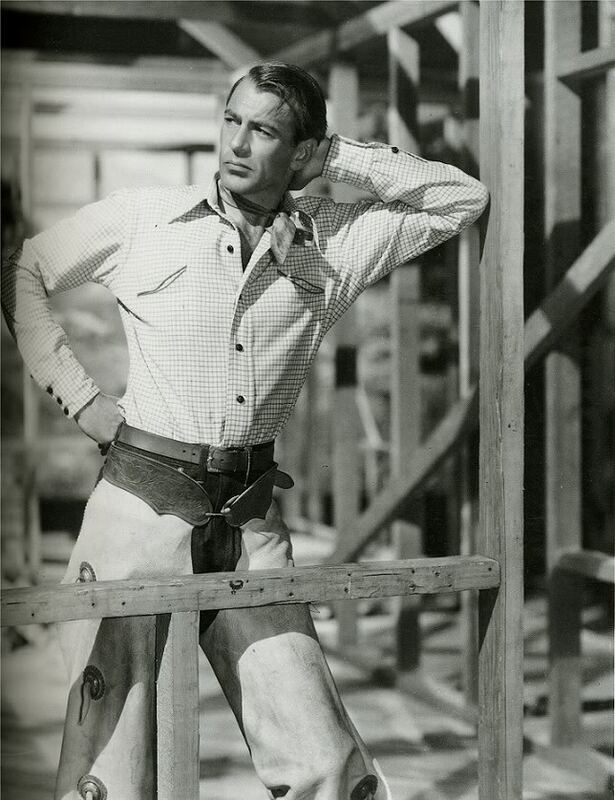 Anyway, seeing Gary Cooper as a sweet, gentle lovestruck cowboy isn’t exactly painful. 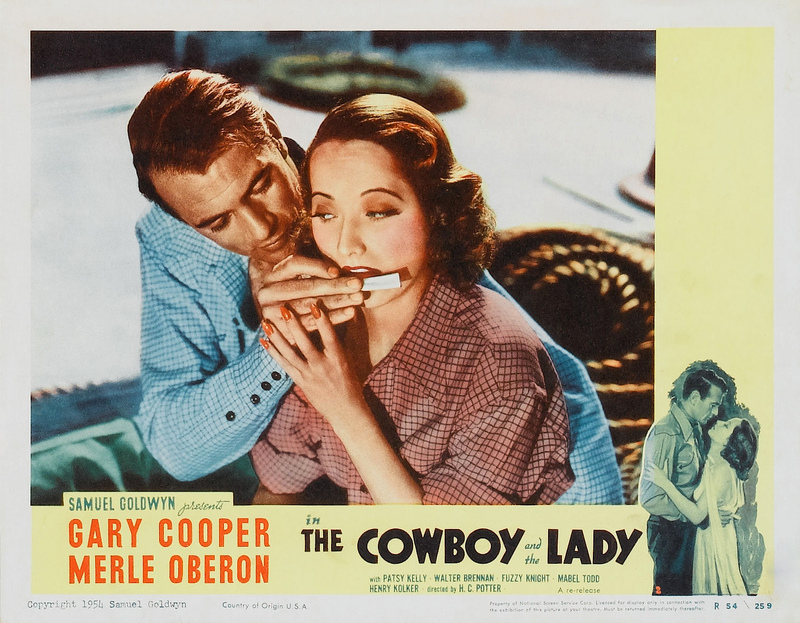 TCM is showing The Cowboy and the Lady on February 13.